Wat do we know about our food packaging? When it comes to food packaging and food contact materials, what we don't know could really hurt us. Producers of food and beverage use labels to tell consumers about the ingredients inside their products. If we read those labels we can be pretty sure about what exactly we consume and how healthy it is. But what about the materials that are being used to store, hold and prepare the food? What do we know about the chemicals in food packaging that can migrate to the food? Are they safe for consumption? The complex composition of packages makes it challenging for companies to guarantee the safety of them. 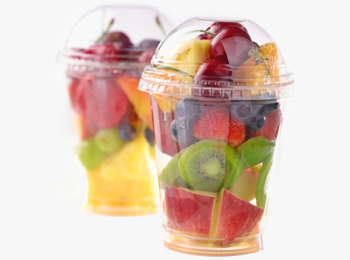 Most packaging is made out of multiple layers of, for example, plastics, paper, inks and adhesives. All complex mixtures of chemicals that come with a certain risk profile. Exchange of information in the Food Contact Material (FCM) supply chain is vital to know exactly what chemical substances could migrate from the packaging to the food. So how do companies in the FCM supply chain manage the available chemical substance information and how can they use that information for their compliance asessment? Is a Declaration of Compliance (DoC) really a summary of compliance assessment and how do we know it is up-to-date? We noticed that common practice in the market was far from the legal requirements. Legislation was and is becoming more complex. Consumers and consumer watch organizations are more aware of the potential health risks. It is clear that the market needs to act. We also see companies in the FCM supply chain struggle with legal obligations. It is hard to be in control and it requires a lot of knowledge about chemistry and legislation, time and effort to do it right. So, we developed FOCOS®, a software solution that supports food contact compliance work and DoC generation as well as communication throughout the supply chain. We are here to help companies to manage food contact safety and improve communication in the FCM supply chain.